Poly rolls at the best prices only on Dormer.ie. Wide choice of high quality strong perforated clear garment covers. Also continuous poly, printed poly and bridal rolls available. Choice of 75, 100 and extra strong 120 gauge poly. 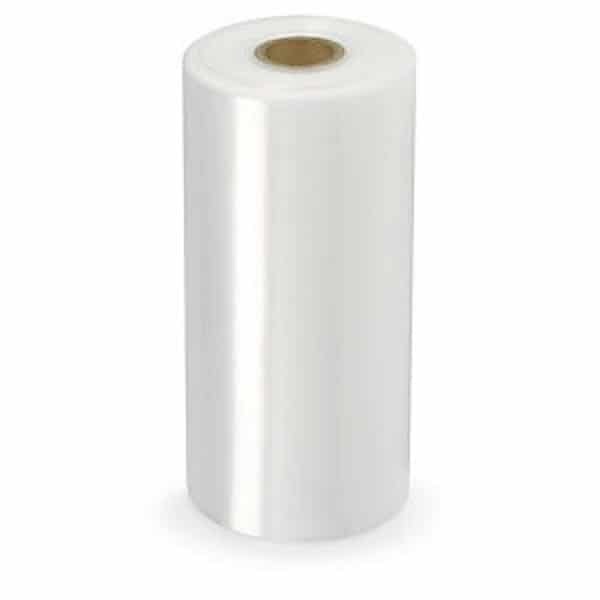 Choose from a wide range of perforated poly rolls. Bagging clothes is quick and simple as the poly tears off easily because of the perforations. Choose from perforated lengths of 30″, 36″, 40″, 42″, 48″, 54″, 60″, 66″ and 72″. We also sell continuous poly rolls. Use a heating sealing dispenser to cut these to any length and then seal them. Choose continuous poly garment covers in 75 gauge, 100 gauge and extra strong 120 gauge. Printed poly rolls are a great way to enhance garment presentation. 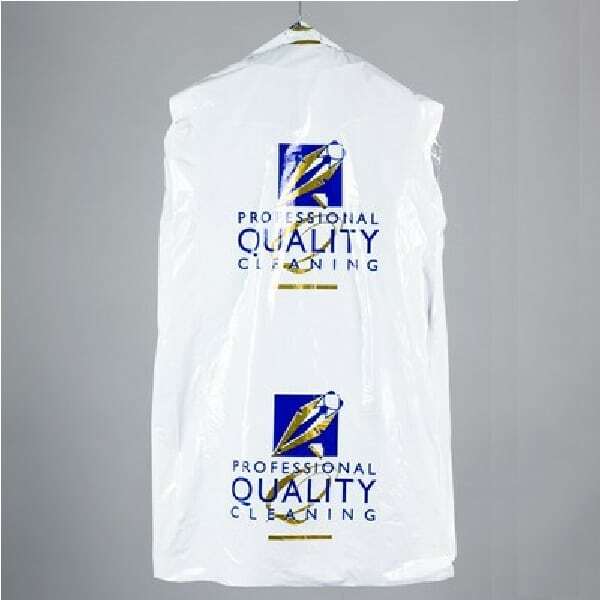 Dry cleaners choose our printed poly garment covers with professional quality cleaning logo. As a result of the stylish design it is perfect for protecting suits, dresses and trousers from getting dirty. One side has the printed logo, whilst the other side is clear to allow you to see the garment. Choose from 40″, 54″ perforated printed poly. In addition, we also sell continuous printed poly and use a heat sealing dispenser to cut and seal any length. Dry cleaners and leading bridal boutiques use our bridal poly to show off the finest wedding dresses. Bridal polythene slips easily over bridal gowns because it is 24″ x 32″ and perforated at 72″. Also, made of extra strong 120 gauge clear polythene to protect dresses from dust and dirt. Order curtain tubing to protect newly cleaned curtains from getting dirty. We sell both 12″ and 16″ wide flat curtain tubing made in extra strength 120 gauge clear polythene. 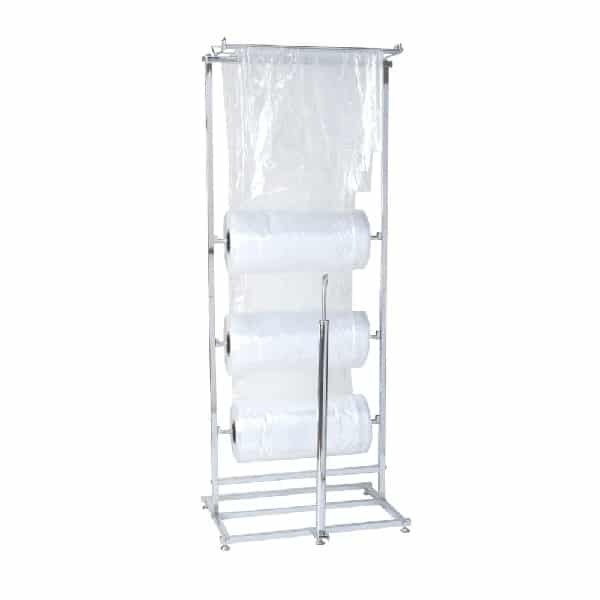 Also, cut plastic continuous curtain rolls to any length. Use a perf dispenser to quickly cover garments with clear poly. Simply hang the garment on the dispenser and pull the poly down over it. Dry cleaners and laundries use per dispensers to bag a wide range of garments including dresses, shirts and suits. Also, known as poly rolls dispenser. Use our secure and super fast checkout with PayPal Express. We provide fast delivery across Ireland and UK because we keep huge stocks. 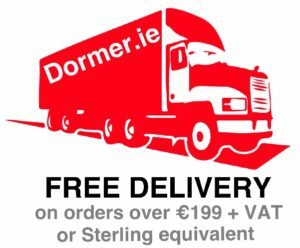 Get your top quality poly garment covers now at the best price on Dormer.ie.